Hi everyone! 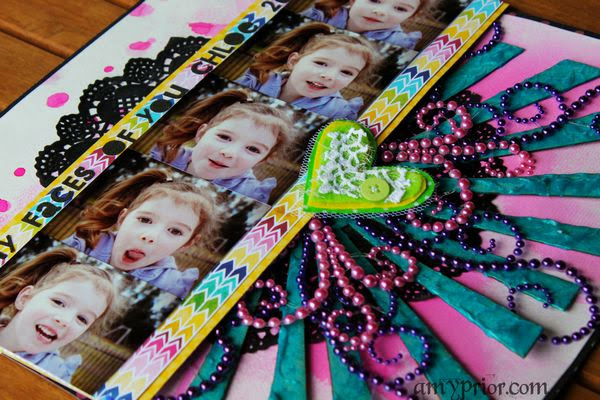 I am back today with another uber bright and fun layout to share with you all. 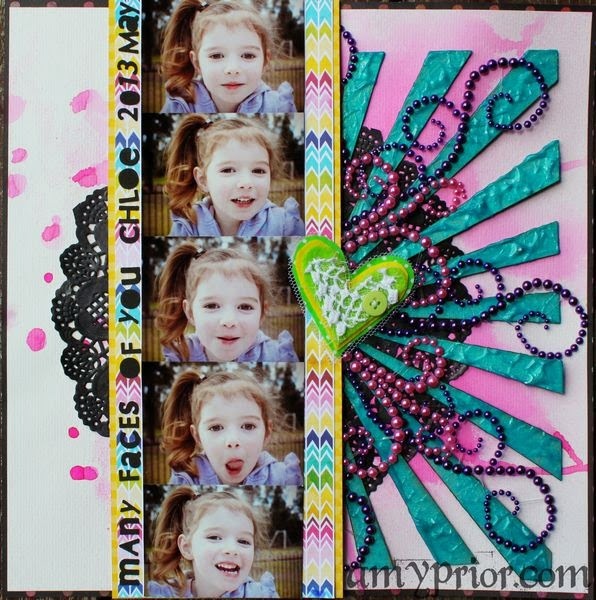 For this layout I have used the awesome Large Shape Starburst 2. This is seriously one of my favourite most versatile A2Z Scraplets chipboard goodies in my stash so much so that I have used it half a dozen times in the past year alone! For this layout I have cut the starburst in half and have mixed some Impasto Medium in with some Teal Heidi Swapp Color Shine Spray and smeared it over the top randomly. Impasto is another type of thicker viscosity medium available in any good art store and it dries almost clear so can be mixed with a variety of acrylic paints etc to achieve fun textured results in tonnes of different ways. Because i have mixed it with the watery liquid Color Shine Spray, the impasto medium was thinned out a lot more than usual so always take that into account when adding various paint products to any type of thickening medium, be mindful of the wateriness always. I could have easily stamped more texture into this when it was still wet but I liked the smeared droopy effect that was created. I really wanted my sunburst to have a few layers so I have sprayed my background with some Pink Bubblegum Dylusions Ink Spray and added lots of drops here there and everywhere before adding a black coloured paper doily, my teal impasto covered chipboard scraplet and then some gorgeous Flourish with a Bling Pearl Flourishes and a Charms Creations Heart. Isn't is just so fun? These sunbursts/starbursts are huge in the industry at the moment and I am seriously loving it! Did you know A2Z Scraplets has had this design for ages now? Seriously have you checked out the website properly and had a proper browse. There is so much variety available from A2Z Scraplets it is just crazy to get your chipboard anywhere else. 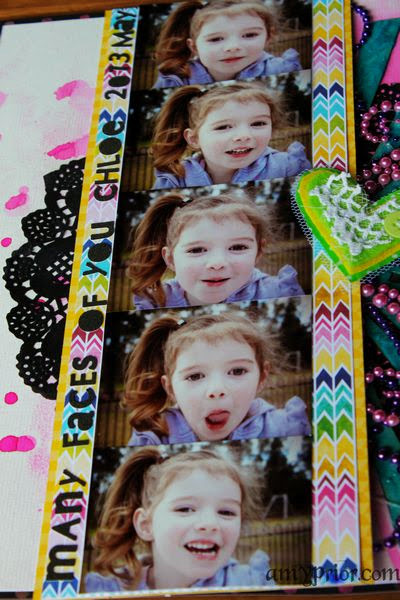 Tell your local scrapbook store to order some in for you today or order direct from A2Z Scraplets yourself. Grab a cup of tea and checkout the website today! Here is where you will find the stabursts Large as used in my layout above. That is it from me today, be sure to check back for some more inspiration tomorrow and until next time, happy scrapping! Gorgeous! 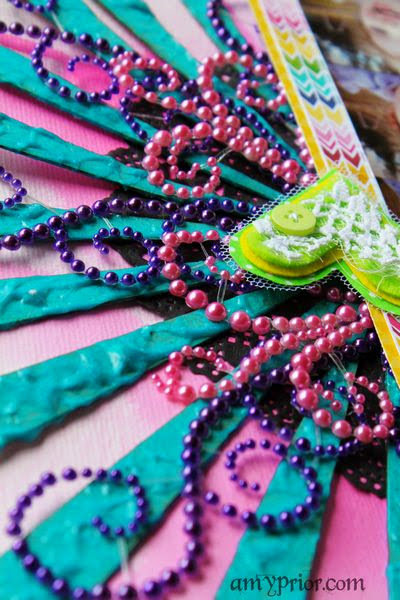 Love all the beaded swirls!